They are alert and watchful and will face up to any percieved threat, they can be aggressive with other dogs. Cant stress enough how important training at an early age is with any large breed. 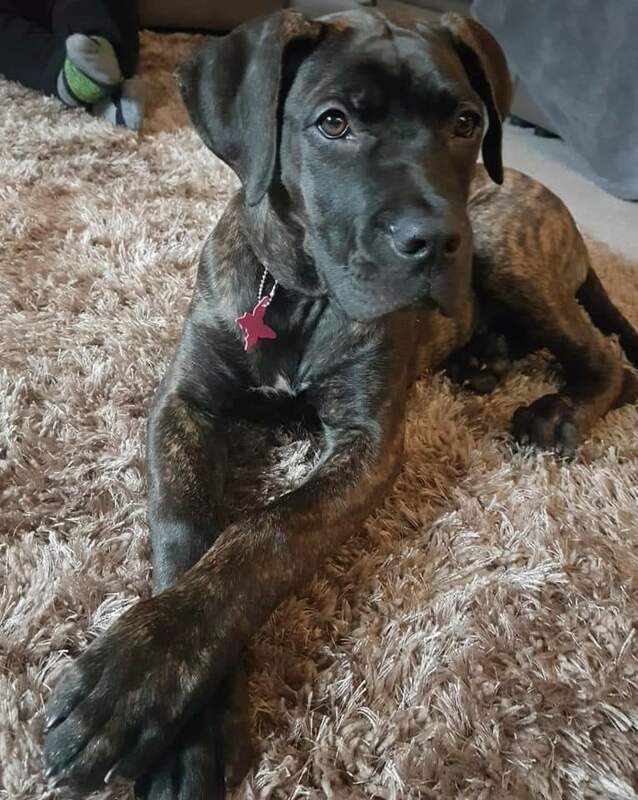 This is Beatrice, a 6 month old Presa Canario – I found this dog to be a joy to work with and particularly keen to learn and a perfect fit for clicker training. The secret now is to keep it that way by giving plenty of mental stimulation and regular excercise .. Below is review from owner Amy ..
” Martin has been an absolute god send to our little family. 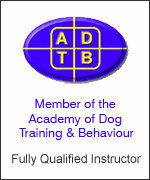 Weve been to puppy training classes with Beatrice and had little luck with her stress behaviour towards other dogs. She barks, growls and wants to escape the situation. We had been told by other ‘trainers’ to distract her with food while she barks, growls and plays up in the company of other dogs. As we feared, this was instilling aggressive behaviour when we came accross other dogs and even people. 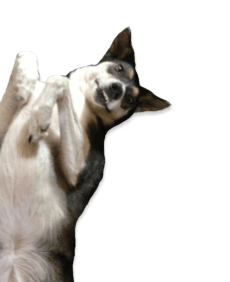 As a result, walking Beatrice has been a nightmare and we had no control over her – it got to the point that I couldnt go with my husband on walks as i was petrified with crippling anxiety coming accross other people and dogs . Martin offered us help and told us he does not train dogs, he shows US how to get the control needed in the home and once we have that control only then do we take it outside. At first this seemed too good to be true, but after 3 hourse we were believers, OMG the response wes incredible! By the end of the indoor/outside work out, we came accross a man (hood up and hat on) she didnt even give him the time of day – I even walked her on my OWN with nothing but pure confidence and control. Beatrice is an amazing girl, we are so in love with her – but before we seeked out Martins help, I was seriously despairing . She is picking everything up in record speed. As Martin called her ‘superdog’! We are first time fur-parents and we really needed this, more for us and our confidence than everything else. She’s going to be a big girl and we needed this.